The cast that attends concerts already to support is one that is doing well in builing friendship and camaraderie. Filming has kicked off for upcoming sageuk Dear Husband of 100 Days (Hundred Day Husband), but before then male lead Do Hyung Soo (D.O.) had a concert in Seoul with his idol group EXO. 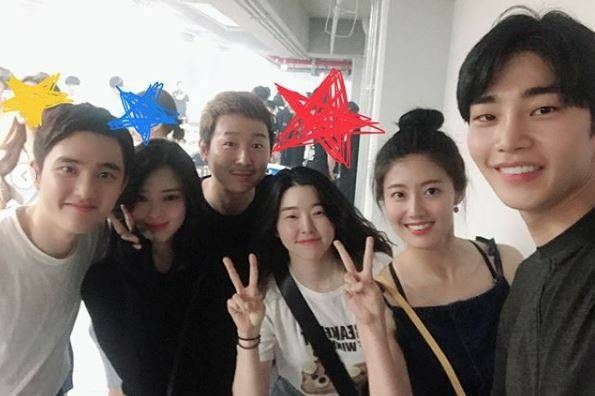 His costars including female lead Nam Ji Hyun, second female lead Han So Hee, and supporting stars Kim Jae Young and Kim Ki Doo were there to enjoy their show and show their support. The drama is about Joseon’s crown prince who goes missing for 100 days before returning to the palace, and what happened during the interim. D.O. is the crown prince while Nam Ji Hyun plays his love interest and also a female running Joseon’s first private eye service. The drama airs in September on tvN after Let’s Eat 3. Actually, EXO’s concert attended by HDH’s cast was on July 14th, script reading was on March 21st, and they have been filming at least since last April as this is a fully pre-produced drama. It’s great to see that the actors have been bonding well. 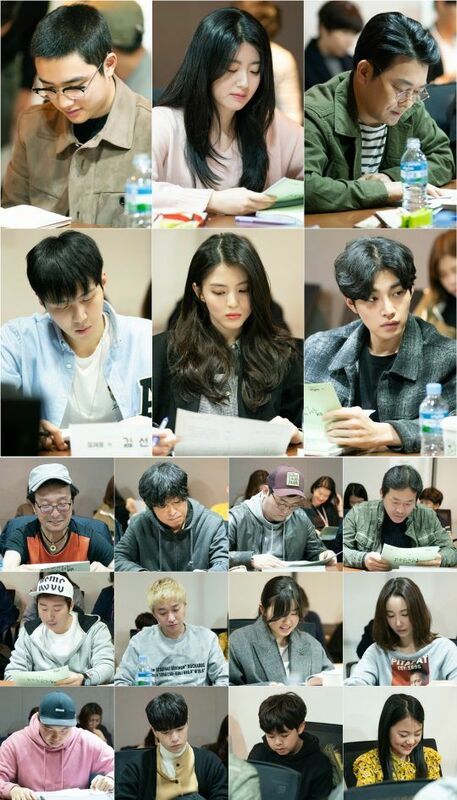 Wish them all the best and looking forward to the drama. Teasers have been released today. They both looks gorgeous. I can’t wait.